The Magdeburg Water Bridge (German: Kanalbrücke Magdeburg) is a navigable aqueduct in Germany and part of the Magdeburg crossing of waterways. It connects the Elbe-Havel Canal to the Mittellandkanal, crossing over the Elbe River. 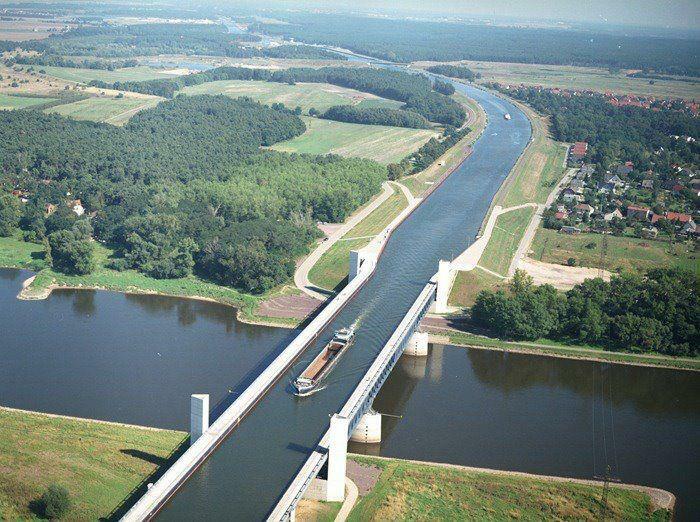 It is notable for being the longest navigable aqueduct in the world, with a total length of 918 metres (3,012 ft).